Villa Martin Morillo is set on 1 floor. The interiors are comfortable and air-conditioned, consisting of 3 bedrooms (1 double, and 2 twin bedrooms), 2 bathrooms, lounge with dining area and separate fully equipped kitchen. Outside, there is a totally private pool and 2 different dining areas (1 at the front and 1 at the rear) to complete the setting for a perfect holiday far away from daily routine. Villa Martin Morillo can sleep up to 6 people. We had a pleasant time at the villa. The outdoors was a extra bonus. privacy and well maintained. The pool and the outside dining areas were the most attractive and pleasant part of the property. 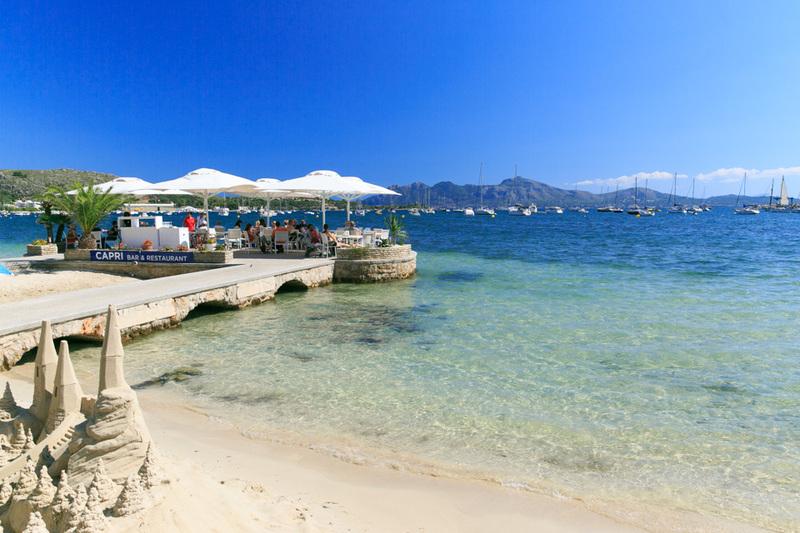 We have stayed in the Pollenca area before and knew that we liked it. We had a good holiday. Thank you. We just had a wonderful stay at Villa Martin Morillo. The grounds are beautiful, secluded and extensive with lots of private areas to cater for the children as well as the grandparents. The villa was beautiful, full of character and had everything we needed. The pool was totally private and secluded. The location was great too; a very short drive to the town and beaches. Delightful. No idea why anyone would not love the property. Its totally private. (Pool completely secluded) and nobody nearby. We loved it and would recommend to anyone. Wundervolle Villa und schöner Urlaub. Vielen Dank. We had a lovely week in Villa Martin Morillo. I went with my sister we both had two children so the bedrooms were suitable for us. 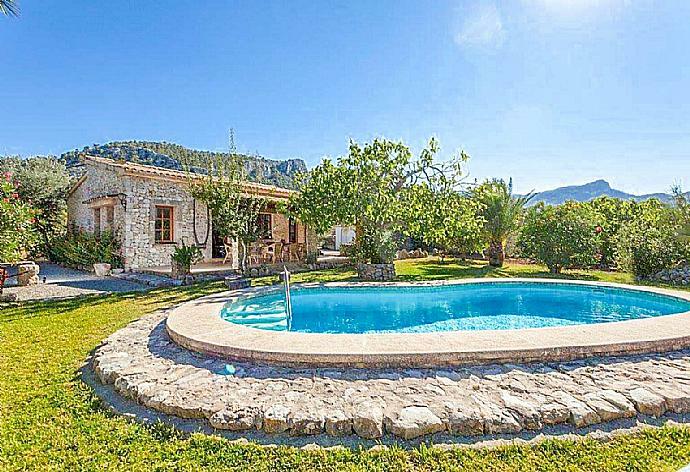 The property is a traditional Spanish villa in a rural location between Alcudia and Porto Pollensa. The pool was really lovely and layout of the villa worked really well for our families. You can enjoy breakfast and dinner under the veranda and ice creams by the pool The property is extremely private and the gardens are very well maintained. The location is quite far from the nearest shop and restaurants so a car is essential. We had a problem with the air conditioning when we arrived but this was resolved on Saturday morning. 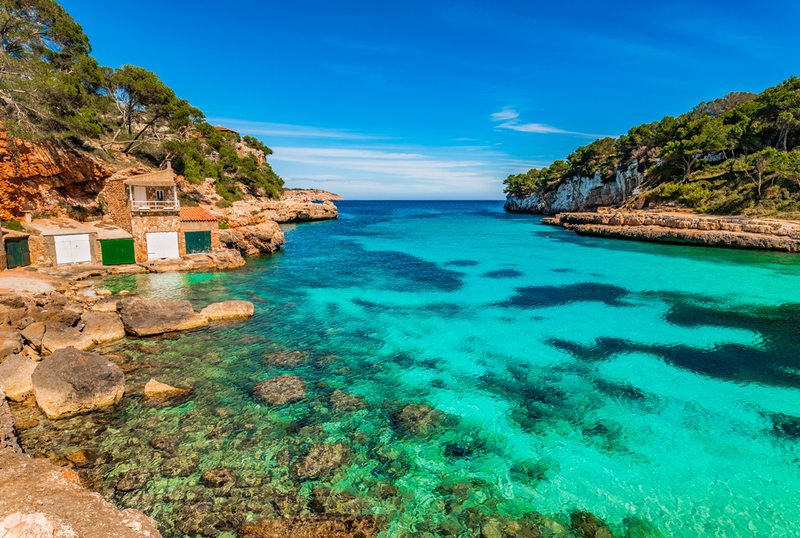 The Agni Team were very helpful both in the UK and in Mallorca. We had a lovely holiday. The villa was very spacious and clean. We had all the amenities we needed. The pool was a big hit - especially with our son. Stargazing on the terrace at night was a great success due to the low light pollution. There are loads of things to do on the island to suit a wide range of interests. Very accurate description - villa is bigger than what we thought so thats a good thing Love the rural location and privacy. 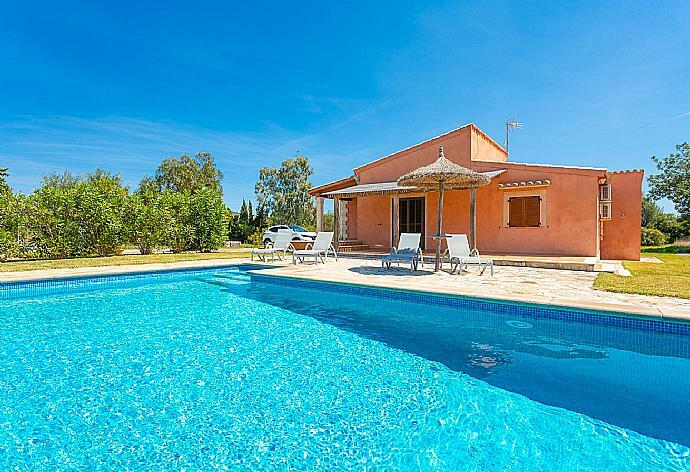 Excellent The Villa is in a very secluded and private location so a car is essential. 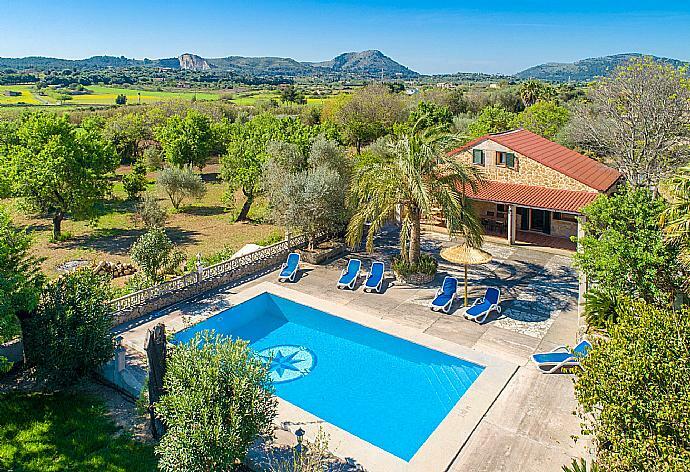 However it is within easy reach (10 mins by car) of Pollense and Alcudia.The Villa is well furnished and was very clean with a lovely swimming pool. The Villa represents excellent value and I would highly recommend it to anyone. Excellent easy booking with Agni Travel who are extremely efficient and welcoming. On the whole we had an excellent holiday. The villa was clean with the towels and bedding being changed midweek. The pool was cleaned and maintained too. WiFi was better than we had expected and our daughter was able to access her music on Spotify and keep in touch with friends on Instagram. 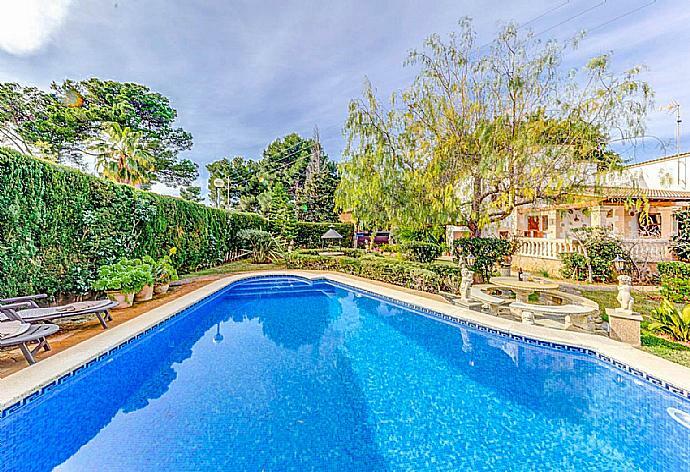 The villa was spacious and well equipped with a large pool. (9m x 5m) Photos are accurate. We were very happy that the description matched the reality. The BBQ was fantastic. The directions to the property were excellent too. We just had 2 wonderful weeks at Villa Martin Morillo. The grounds are beautiful, secluded and extensive with lots of private areas to cater for the children as well as the grandparents. The villa was beautiful, full of character and had everything we needed. The pool was totally private and secluded. The location was great too; a very short drive to the town and beaches. Villa Martin Morillo was booked 3 days ago!